Alright, I’ve got nothing against James Cameron, effect-heavy top Box Office hits, or the Na’vi, but Avatar was not my cup of tea. Granted, this is a DVD review, but I believe it needs to be said. Don’t get me wrong; the effects, 3D and all, were amazing. Cameron and Co.’s 15 years of work paid off. Avatar is the highest grossing movie in the US after-all. 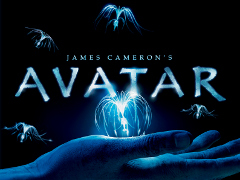 However, in my “professional” opinion, my gripe with Avatar is it lacked most of what truly makes a movie. The plot was weak and many contend that it is a Dances with the Wolves rip-off. Even the lead acting was cringe-worthy; I’m looking at you Mr. Worthington. Luckily, a combination of the supporting cast and the tremendous effects and cinematography carried most of the scenes. At the risk of sounding like an artsy-fartsy theater geek, a polished turd is still a turd. At this point, you’re probably saying to yourself, “Oriech knows what he’s talking about. Screw the Extra-Special Collector’s Director’s Cut Extended Limited Time Re-Release with two hours of Never Seen Before footage!”. Well, thank you, but no, in contrast to my opinion of the movie itself, I feel the Extended Collector’s Edition is well worth the price. In this case, the Special Features included on the DVD make the deal. I’d much rather sit through “Capturing Avatar”, the feature-length making of documentary, than Avatar itself. Seeing what went into putting the movie on the Big Screen over the course of fifteen years is amazing. The documentary walks the viewer through every step of the process from concept to release. I’m pretty sure a caterer was even interviewed. In addition to the worthwhile documentary, the usual Alternate, Extended, and Deleted scenes are included. I won’t spoil anything, but the Alternate / Extended scenes give the Na’vi some… depth. There was an obvious theme removed from the theatrical release. I’m not entirely sure why this decision was made, but these scenes may be worth the altered POV. However, the deleted scenes are what really makes the DVD collection worth the $19.99 (last check via Amazon). Just like the documentary, the deleted scenes lift the veil on movie-making magic. The scenes are even preceded by a guide to watching them, including the level of completion (motion capture, templates, and finished) and effects that may be missing (green screens visible, monitor images, etc.). Watching the unfinished scenes with Sigourney Weaver and other “avatars” and “na’vi” in full motion capture suits and faces covered in green dots is an interesting juxtaposition. Avatar Extended Collector’s Edition DVD is worth the money, even if the movie itself isn’t in your top ten list. Most of the special features themselves are enough to warrant the purchase, especially if you’re a movie or documentary lover.